(TFC) According to Greek and Turkish sources, a cargo ship containing thousands of weapons, ammunition, and explosives was seized by Greek authorities on February 28th. The ship– sporting a Togo flag– had reportedly left a Turkish port in Izmir and was traveling to Lebanon as well as the southeastern African coast. The ship, named “Kukui Boy”, was seized by the port authority of Chania for reportedly carrying a hoist-crane, suspicious containers, and not obeying a “stop” warning. Greek custom officials claim the ship did have supporting documents for the at least some of the weapons; however, officials are still unsure of their legitimacy or if all weapons had been properly accounted for. The 11 member crew included six people from Syria, four from India, and one from Lebanon. The ship was carrying six containers total– two of which have been labeled “suspicious” by Greek authorities. An investigation is still underway. This nearly mirrors an incident from last year. 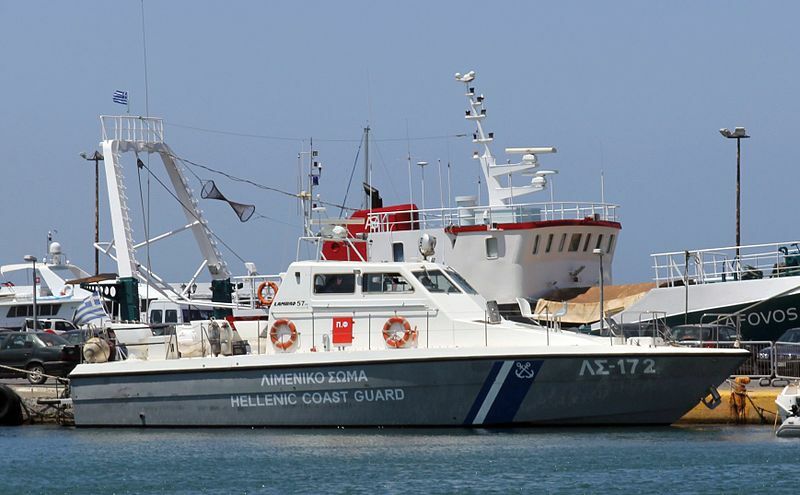 In September the Greek coast guard seized a ship, “Haddad 1”, with a Bolivian flag carrying undeclared weapons which was reportedly traveling from Turkey to Libya. The Turkish foreign ministry claimed all weapons were destined for the Sudanese police force and had been documented. The ship did contain building materials destined for Libya. Documentation on the ship showed it was destined for Misrata, Libya— which is controlled by Libya Dawn. Greek media suspected local Libya Dawn rivals affiliated with Islamic State to be the final recipients. Author: Tilemahos Efthimiadis; Use of this file is not an endorsement from the creator or Hellenic Coast Guard. Regardless of destination, the Haddad 1 did not have a good maritime record. It was currently banned from all European ports after being detained at least four times for failure to follow safety checks. The maritime transparency data base Equasis claims the ship had been owned by two companies with the same address yet no telephone number. One company, IMS Hellenic, operates several ships sporting flags from a variety of countries including Togo, Tanzania, and Bolivia. The weapons on the Haddad 1 appeared to be concealed under furniture and gymnastic mats. We may never know the true destinations for these ships or who the weapons were intended for. One thing is clear: Greek authorities keep intercepting weapons moving in and out of Turkey. Just last month three Iraqi-born British nationals were arrested by Greek authorities near the Turkish border with at least 22 firearms and 200,000 rounds of ammunition. In January, two people– one Bosnian, one possibly from Yemen– both with Swedish passports were both arrested with combat material and a destination of Turkey. There is only one aspect that remains consistent in all of these stories: suspicious weapons and vessels are moving along the Turkish border.